Large threatening thunderstorm rotates as it hovers over cultivated farmland. Some sunglow on horizon. Horizontal, copy space, USA, Colorado. Weather and climate experts had a clear message for attendees at the Colorado Farm Show at Island Grove Regional Park in Greeley on Jan. 25: Climate change will have real effects on agriculture — politics and public controversy aside. Brad Udall is a senior water and climate change scientist with the Colorado Water Institute at Colorado State University. He moderated a series of presentations and then a panel discussion on the subject of climate change for about 100 audience members. "I think all of you understand that climate change is controversial, and it's highly political," Udall began. "But I need to tell you that within the scientific community, it is not controversial." 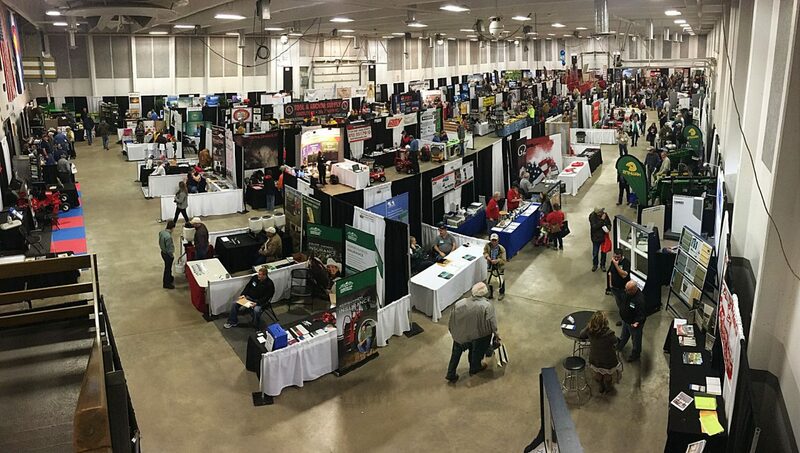 The climate discussions were two of the many events on the second day of the farm show. Other presentations focused on topics ranging from the future of dairy farming to the basics of genomic testing. The farm show, which regularly brings more than 35,000 attendees during the three days concluded on Jan. 26. CBS4 Denver Meteorologist Dave Aguilera opened his presentation by explaining the work of the National Ice Core Lab, located in Lakewood. Using ice cores from Antarctica, scientists observe air pockets trapped in ice from the past 800,000 years. Since the Industrial Revolution, carbon dioxide content has increased dramatically, he said. Aguilera said he wanted to present the bare facts, without telling people what to think or demanding them to react in a certain way. "I think when this whole thing started, we kind of went about it the wrong way. I think you can't tell people, 'Hey, the climate is warming up. Get rid of your car,'" he said. One audience member expressed a concern that while he believes the earth is warming, the specifics of how it will affect people are uncertain. Aguilera agreed, adding people should educate themselves and others so more research can be done to clarify the full effects of climate change. 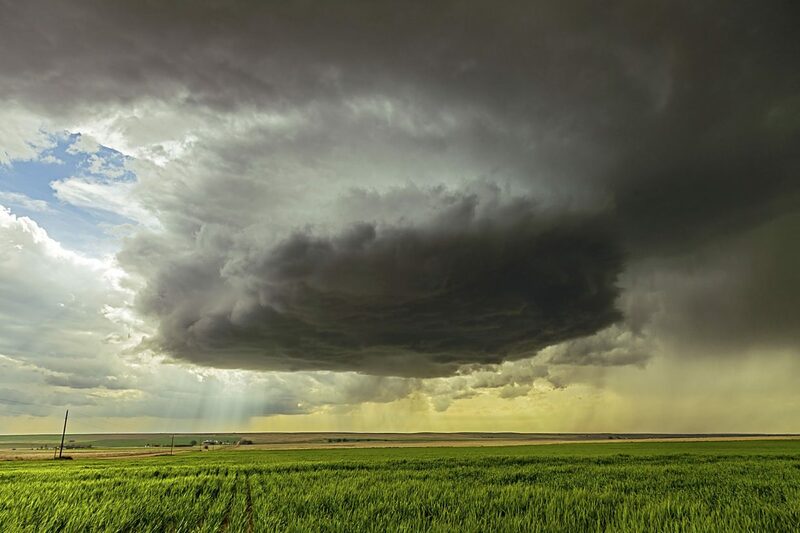 State Climatologist Nolan Doesken followed with a discussion of Colorado's climate. Presenting graphs of temperature changes from weather stations throughout Colorado, Doesken noted a warming trend isn't noticeable at an isolated weather station. But when data from weather stations across Colorado are averaged, the trend matches the national and global trends of a climate that is getting hotter. Last fall was Colorado's hottest on record, Doesken said. During the panel, audience members asked questions about the effect of urbanization on weather stations and how climate change will affect areas where crops can be grown. A first-timer at the Colorado Farm Show, Rhonda Brandt, said she thought the speakers' comments were unique. Now a resident of Cheyenne, Wyo., Brandt grew up on a farm south of Akron, Colo.
She said there's no lack of science on climate change, but a lack of conversation that isn't muddled by politics. When it comes to the agricultural community, she believes people will prevail over politics.